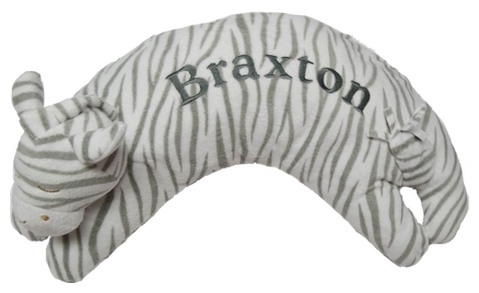 The Angel Dear™ Grey Zebra Pillow is made of a very soft medium gray and white striped velour fabric. The nose and inner ears are white. The face details are all embroidered. 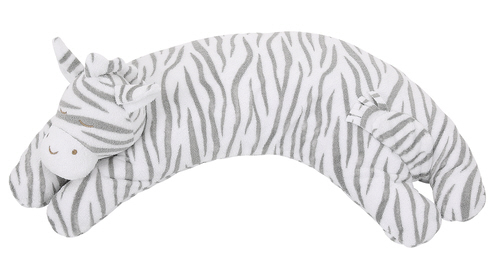 The pillow measures 20" long by 8" wide by 4" high. The pillow insert can be removed to wash the cover. It is machine washable and dryable.